How to affect the visibility of my website? S E O. Three letters of enormous importance for modern businesses! 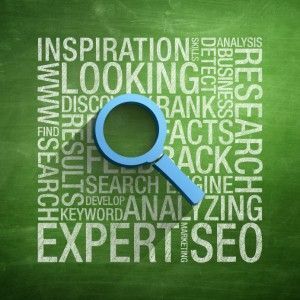 Most of us have at some point heard the term SEO, without knowing quite well what it is about. The mystery and conspiracy theories behind the SEO techniques are indisputably too many... Despite the exaggeration, the average Greek businessman over 40 years old is not familiarised at all with the concept of SEO. Of course this is something that it has to change. I am quoting our beloved wikipedia: The term Search Engine Optimization or SEO (from the English search engine optimization), describes all those procedures that need to be made in the structure and content of a website to be as possible friendly to search engines. The ultimate goal is the high ranking of the website in search engines and to increase traffic to the website through organic results, meaning the non paid-sponsored search engine results on the Internet for keywords (keywords) that interest the user and engines Search consider that website content is most appropriate for what the user is looking for. So that is why everyday they are being spilled tons of web ink to clarify to promote ways to enhance your website through SEO techniques. Keep reading! The black hat SEO techniques are kinda breaking the rules of search engines, eg with overzealous keywords placement, or with a high number of links to the same page. But did you know that search engines discover this trick and punish it? How? By signaling your page as unreliable or lower placement in their own content. Secret recipe for the best ranking of a website is the link between the title, the description, the keywords and the general content of the page. We have already pointed out that content is the king! Other key points are to create a qualitative and rich content, to improve your website with the help of a sitemap (the sitemap helps the algorithm Google page to understand how a website is structured, here you can find a related tool) to ensure that there are no broken links, ie links that lead nowhere and last but not least to optimize the speed of your site, which is something basic. Have you ever noticed that every url starts like this ... HTTP? As we all know, security is a huge matter in all online activities, it is only natural that sites that implement a secure connection https rather than http are being prioritized. What are you waiting for? In modern times every person has an -at least- one electronic device in their pockets thereon, most of them possess a smartphone. Have you ever actually checked if your own website is responsive, meaning compatible with mobile phones? If you want to learn more co-ordinate with the Blog The Brain Pixels for the post that follows next week. If you like what you are reading be a dear and signup for our newsletter, so that you can receive the collected articles of our tech team in your personal e-mail. You can also find us in four of the most important social media (Fb, Tw, G +, Lin), we go by our name The Brain Pixels!